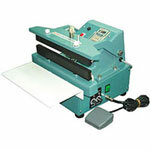 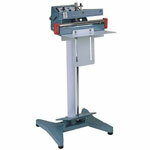 Hand held constant heat sealers are great for sealing a wide variety of materials with different thickness in width. 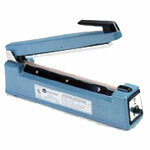 This lightweight hand held constant heat sealer is ideal for smaller jobs that don’t require a larger more costly machine to perform. 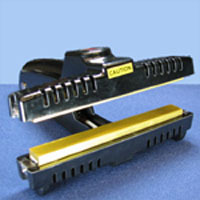 The double 15mm wide heating jaws on this heat sealer are perfect for sealing cellophane, foils, and heat sealable labels. 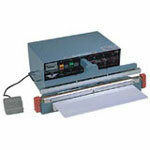 It also produces a waffle embossed seal and it is simple to operate.